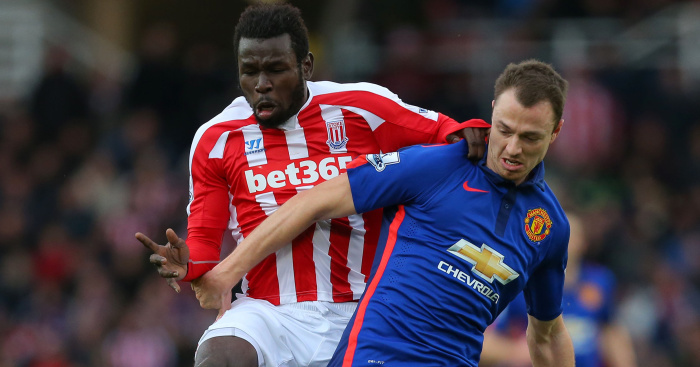 Mame Biram Diouf has attempted to patch up his relationship with Stoke’s fans after apparently labelling them the”worst” in the country. In an interview with So Foot, the striker said the Potters fans were the “worst” in the country. The original interview, which has been translated, Diouf claimed he was thinking about leaving this summer. Diouf told So Foot: “They’ve loved me too much here. That’s why I’m sad about the current situation, because Stoke means a lot to me. Diouf has been at Stoke for almost five years and is under contract until 2020.